Language shapes reality and our consciousness. 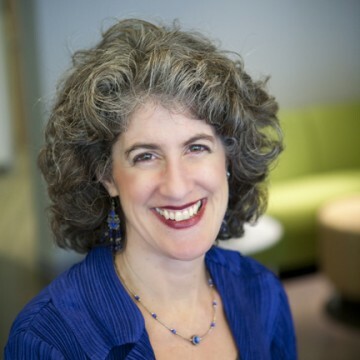 As neuroscience and leadership expert Judith Glazer says, “words create worlds.” World-renowned organizational consultant Fernando Flores, a former Chilean political prisoner, teaches that relationships, organizations, teams, and all forms of collaboration exist in language. Language alters moods and affects our bodies. It is fundamental to our success, and we need to pay attention to it. The Sum Of Us Progressive Style Guide is a powerful resource to help us more humanely “harness language in support of intersectionality and cross-sector power building” (pg. 2). There are 14 different issue areas outlined in the guide. For example disability, economy, immigration/refugees, race/ethnicity. Each issue area has resources, writing guidelines, specific recommendations and “terms used by issue area activists” and “terms avoided/questioned by issue area activists”. There is a section guiding us on how to select images when using them for campaigns and educational purposes, further resources and over 266 web links in the Endnotes section. Download the style guide, and share it with everyone you know whether in positional leadership roles in organizations or with your stay-at-home mom friends. As a North American, US-born white woman it is important for me to remove continuously the white privilege blinders I wear, and be sure the language I use truly supports the world in which I want to live. In the spirit of Brené Brown, humans seek love and belonging and applying this guide’s language recommendations will help us create a more just world with no one inside and no one outside. 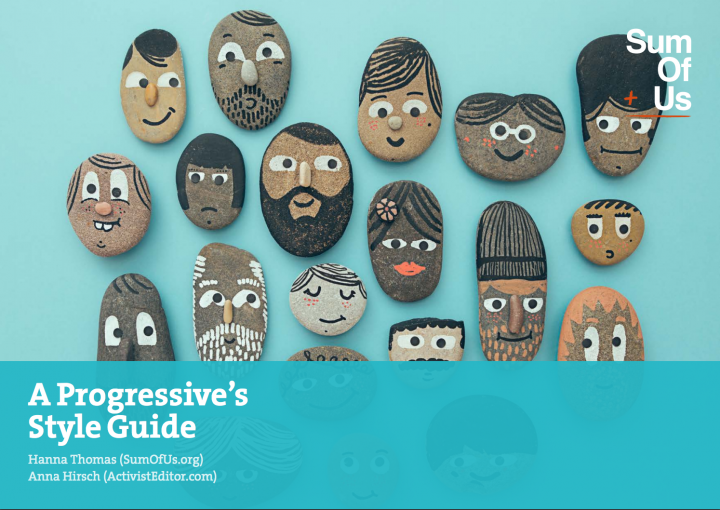 Thank you to our friends at Sum Of Us for A Progressive’s Style Guide.